Soccer Fitness was created to help coaches, players, parents and fans at all levels of the game improve their knowledge and practical skills related to soccer-specific fitness training. With huge and growing numbers of players registered in Canada at the youth level, it often seems that there are just too many players and not enough qualified coaches. 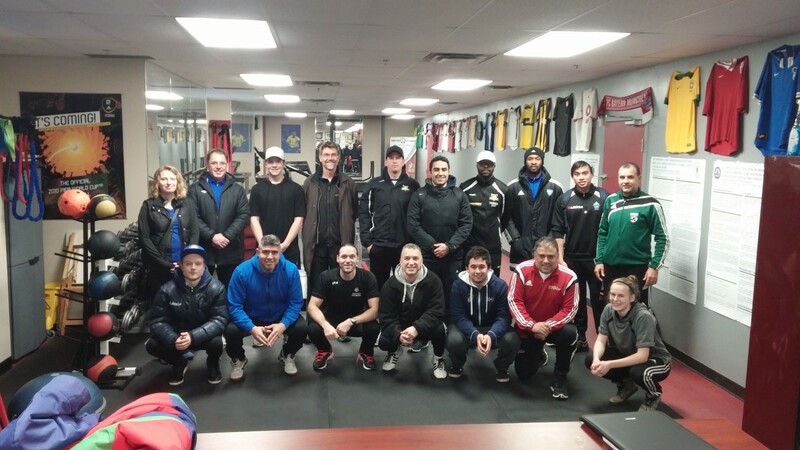 Today, most clubs and academies in Ontario have Club Head Coaches and Technical Staffs, whose primary responsibility is to help train, educate their club’s “rep” or competitive coaches, and ensure that they are able to plan and deliver appropriate technical and tactical training to their respective teams. Physical training of soccer players, however, seems to be the missing link in most clubs’ overall training programs. Soccer Fitness is a company that aims to help coaches, players and parents in understanding and implementing appropriate physical training programs for themselves and their athletes. To be Canada’s leading soccer-specific strength and conditioning company. To provide soccer players with the highest standard of physical training available and to maximize the potential of soccer players through improvements in physical fitness.